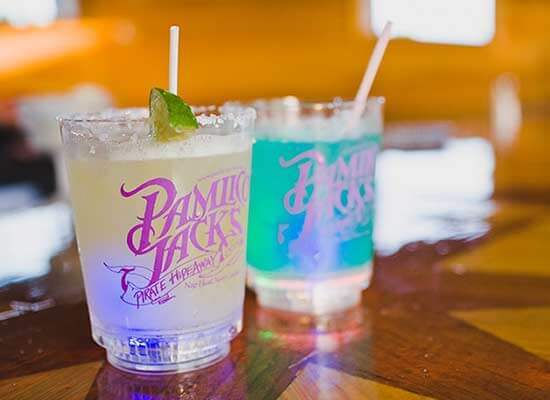 Pamlico Jack’s is a Nags Head Restaurant on the water that combines the natural beauty and local history of the Outer Banks with delicious island cuisine for a delightfully fun pirate-themed experience. 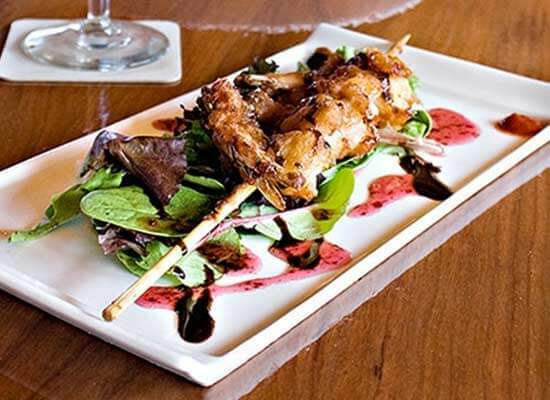 We serve fresh Gulf Stream seafood, certified Angus beef, tasty homemade pasta selections in generous portions and delectably decadent desserts for lunch and dinner. Lighter fare ranging from burgers to sandwiches, soups to salads and a variety of appetizers are also available. You’ll certainly have no problem selecting your favorite vintage from our extensive wine list. We have had the honor of receiving the Wine Spectator Award of Excellence for well over 20 years in a row. You’ll not suffer from dehydration either with our wide selection of beers, micro brews and custom cocktail beverages ranging from Jack’s Hideaway Rum Jumper to the frozen Mariners’ Mango Pain Killer! 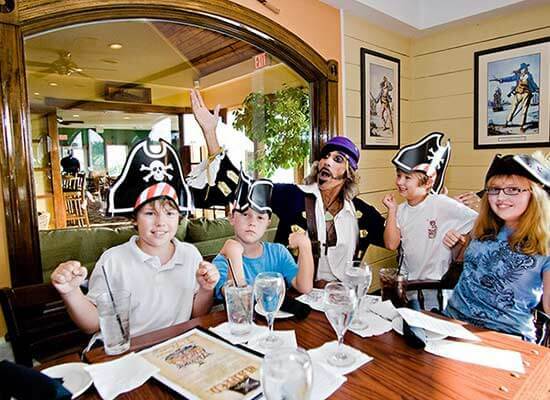 Our outdoor Rum Jumpers bar is an authentically replicated pirate ship, complete with sails and rigging, which leads you onto our large open-air soundfront deck with spectacular sunset views and live entertainment nightly in season. Nags Head Restaurant on the Water – Pamlico Jacks.